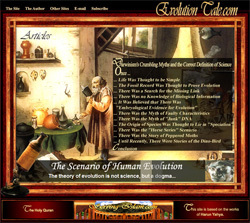 Darwinists have created countless scenarios regarding the alleged evolution of man. These scenarios are devoid of any scientific evidence and are speculation invented so that human beings will regard themselves as supposedly the chance descendants of monkeys. All the fossils that Darwinists claim to represent as transitional forms in the mythical evolution of man have actually transpired to be belonging either to assorted species of apes or else to various human races. It is a scientific fact that monkeys have always existed as monkeys and never turned into another life form. 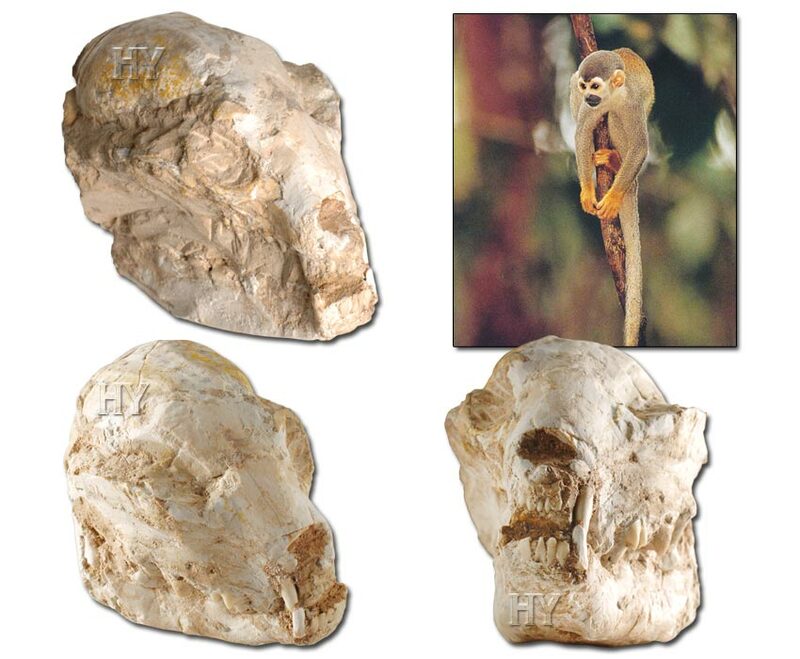 One of the pieces of evidence documenting this is the 32-million-year-old monkey skull in the picture. This fossil specimen is identical to the skulls of present-day monkeys. There is no trace in it of any passage toward human beings. proofs of the glorious creation on Earth that cannot possibly be denied. This truth can no longer be disputed. Darwinists are writhing in vain. The most rational thing to do is to abandon their errors now they have seen the truth, to cease chasing after a phantom and to stop wasting their time in this world, which we come to in order to be tested, on nothing. The history of evolution has witnessed countless hoaxes. 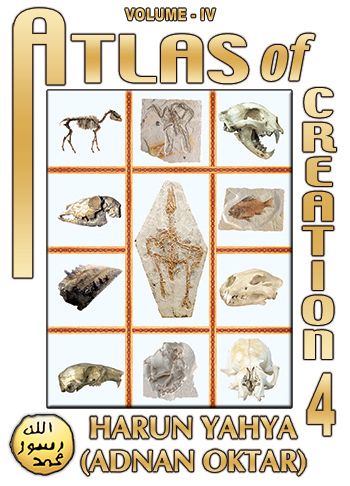 Efforts have been made to portray fossils from extinct species or various bone fragments as evidence for a supposed transition, and fossils of life forms still in existence today have been depicted as being in the course of evolution. But a long silence has fallen over all this deceptive speculation around fossils. This is because, as we can see in the 41-million-year-old fossil skull in the picture, it has been realized that the great majority of present-day life forms looked exactly the same in the past, and so never underwent evolution. The time has now come to put an end to all the evolutionist conjecture and frauds regarding the supposed evolution of man. The 21st century will be when people will realize the falsity of the theory of evolution and when everyone will accept the fact of creation. 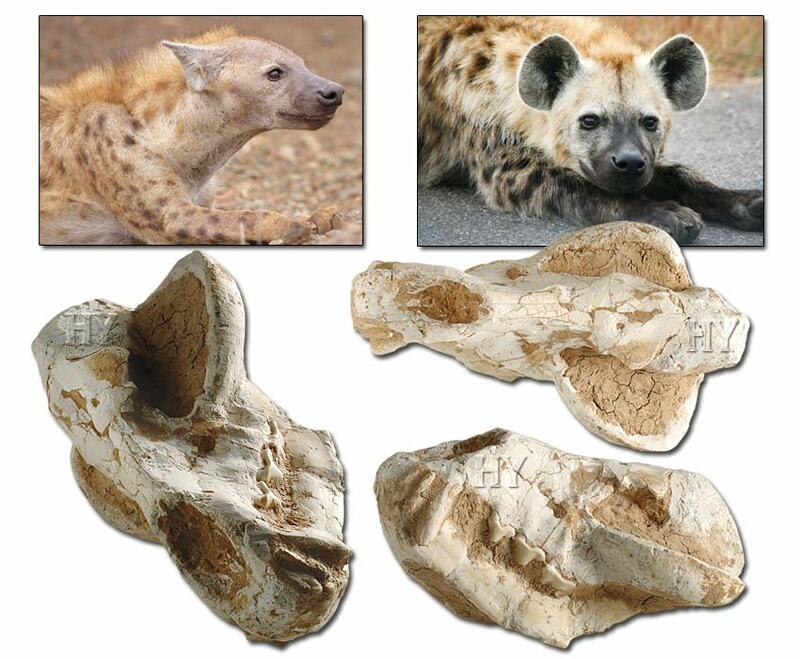 Hyena skulls go back a very long way in the fossil record. 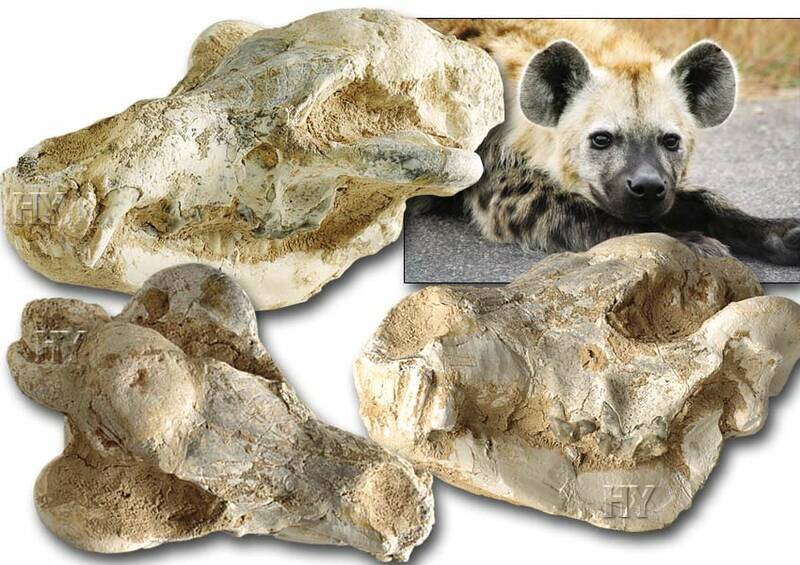 None of the fossils unearthed is any different to those of present-day hyenas. In order to corroborate its claims, the theory of evolution needs to produce a sign, a single example, a transitional form showing that these animals are descended from some other life form. But this is impossible. The evidence revealed by paleontology is fossils belonging to present-day life forms that have never changed, and every new finding represents significant evidence against the theory of evolution. 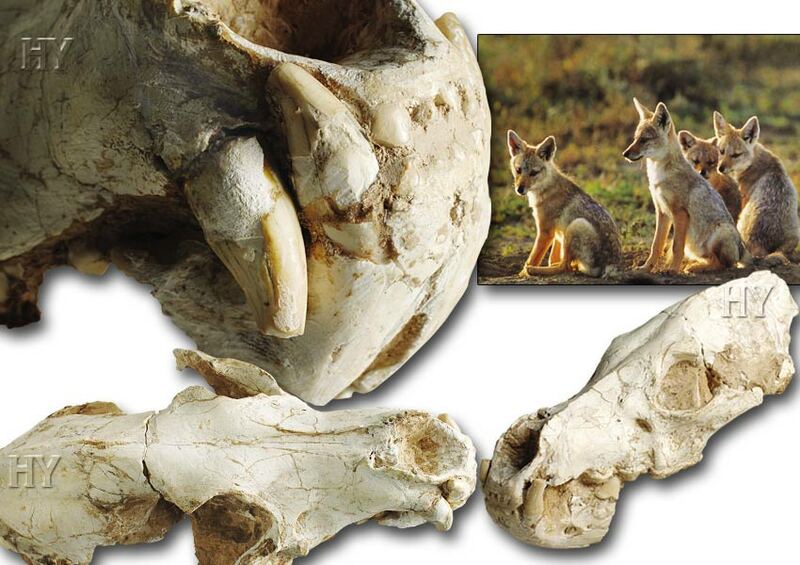 The 42-million-year-old hyena skull in the picture is one of the proofs that refute evolution and shows that hyenas have never changed in any way. The fossil picture on this page reveals yet another piece of evidence refuting the scenario of the evolution of the horse, a scenario that Darwinists have been using as their greatest propaganda tool for many decades. This 2.8-million-year-old horse skull is identical to those of modern-day horses. It therefore shows that the false illustrations of the evolution of the horse that still appear in museums of natural history are of no scientific value at all. It is therefore meaningless in the face of this scientific fact for Darwinists to add representative illustrations to their books, to foolishly try to bring this supposed evolution to life by way of reconstructions or to exhibit various false evolutionary sequences in museums of natural history because the scenario of the evolution of the horse has been demolished with incontrovertible evidence. The history of Darwinism is full of examples of fossils disproving evolution being hidden away out of sight in museum store rooms for many years. Pictures of the first Cambrian fossils discovered were hidden away in the basement of the Smithsonian Museum for 70 years because they demolished the very foundations of evolution. With such a dark history behind it, the theory of evolution also of course sought to conceal the countless living fossils that would be discovered in later years. But events did not transpire as Darwinists had planned. Darwinists badly miscalculated when they did not think such a large number of living fossil specimens would be found. More than 350 million fossil specimens have been discovered to date, and these all belong to perfect and fully complete life forms. 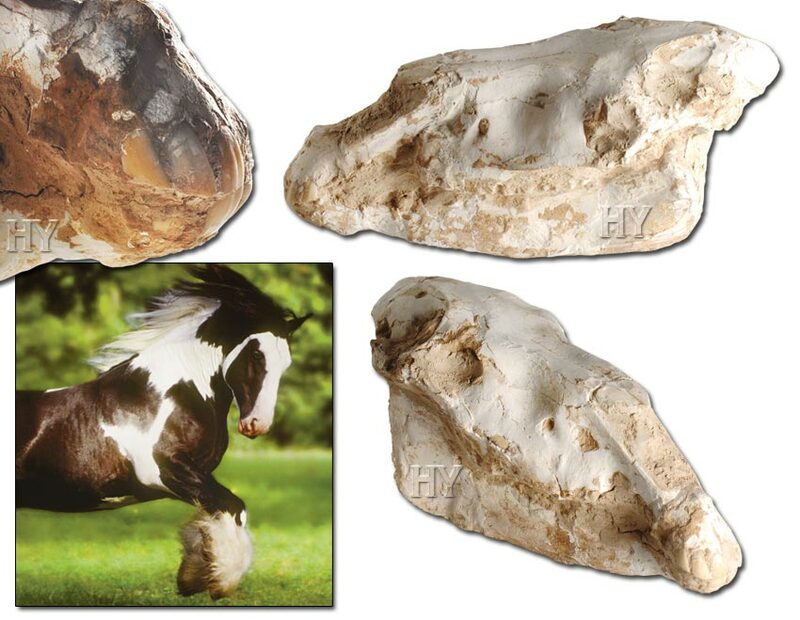 One example of these is a horse skull dating back 4.3 million years. 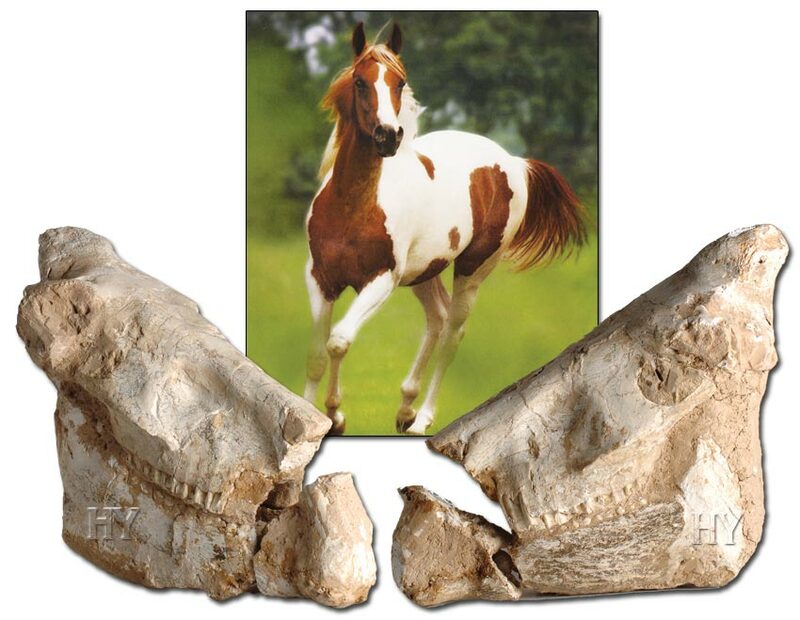 There is no difference between the fossil and present-day horses. 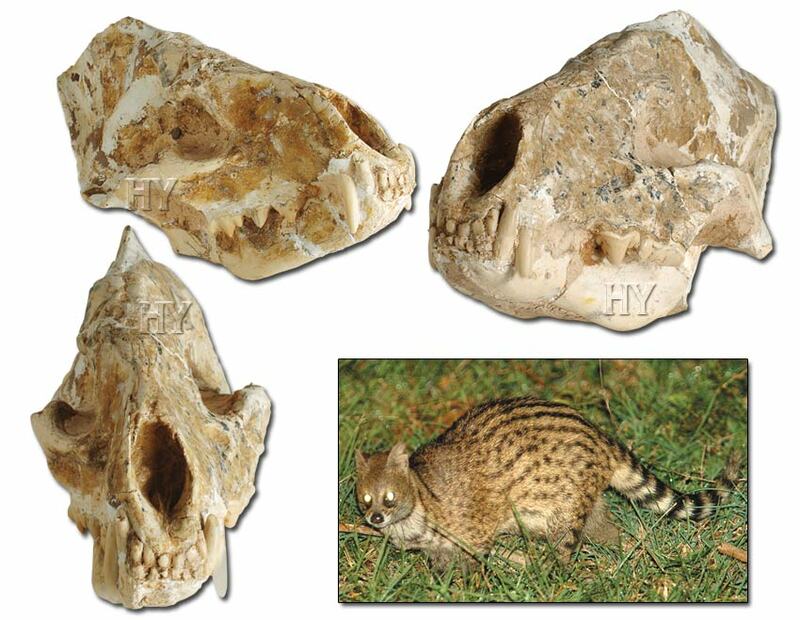 The 39-million-year-old small Indian civet skull in the picture confirms Jeffrey H. Schwartz's words. The fossil record has unearthed none of the transitional forms expected by evolutionists, but has revealed, as in the case of this 39-million-year-old life form, examples of present-day life forms with highly complex structures. With their long necks, giraffes are very striking animals. Darwinists hypothesized that this extraordinary long neck gradually emerged as the result of reaching up into high branches. This idea, one of the best known evolutionist deceptions, has been eliminated by the fossil evidence in this photograph; giraffes 38 million years ago were the same as they are now. There is no trace in the fossil record or imaginary giraffe specimens whose necks gradually began growing in order for them to reach higher branches. 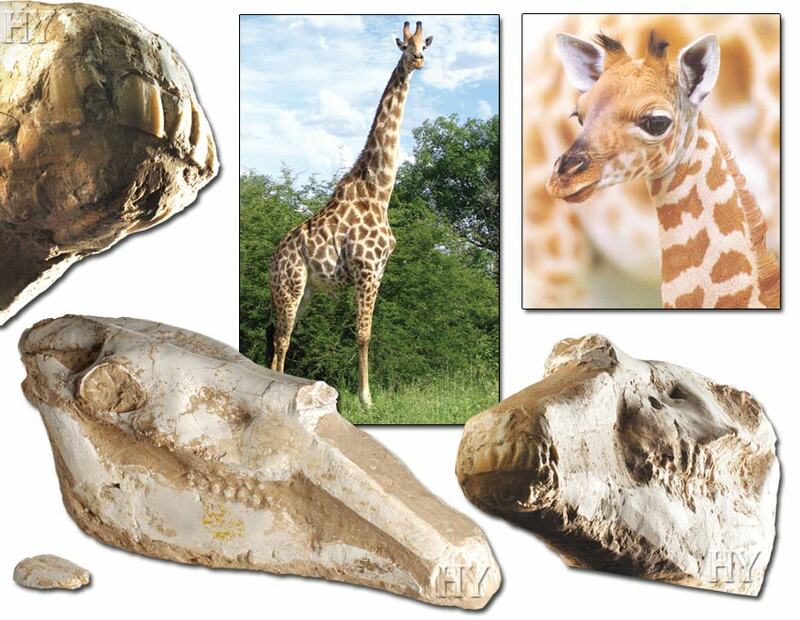 The giraffe was the same 38 million years ago as it is today. 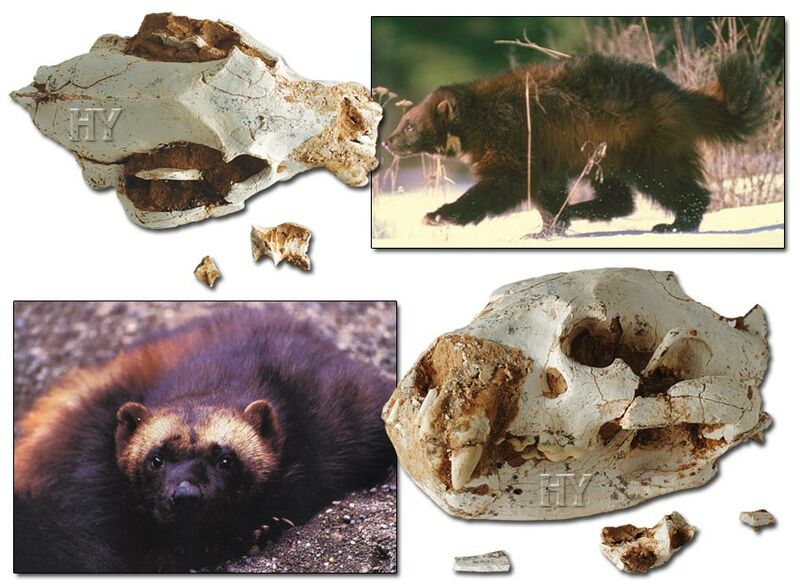 Wolverines living 62 million years ago had exactly the same anatomy and appearance as members of the species living today. They lived, fed and reproduced in the same way as members of the species do today. This is because it is Almighty Allah, the Lord of all, Who created them 62 million years ago and Who creates them today. It is Allah Who gives them life and appoints a lifestyle for them. Like all other life forms, the wolverine is not the product of blind chance. A gingko leaf that Darwin discovered in 1859, the earliest specimens of which go back 250 million years, threw him into a panic. Darwin described this discovery as a “living fossil” and regarded it as a significant problem for his theory. Had Darwin been alive today, he might have abandoned his theory entirely in the face of the size of the problem. In the absence of so much as a single fossil over the years that might have corroborated his theory, Darwin essentially passed the buck to those who came after him and hoped that a transitional form would be found one day. Yet neither Darwin nor his successors ever found what they hoped for. 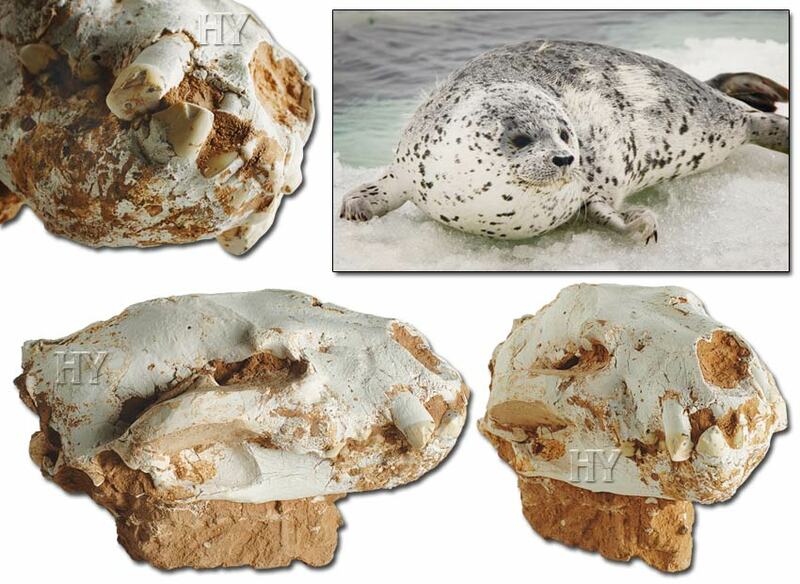 As can be seen in the 84-million-year seal skull in the picture, every day reveals a new fossil specimen dating back millions of years of a life form in existence today. 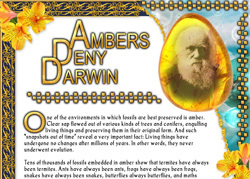 The fossil record has given the lie to Darwin and revealed that creation is an indisputable fact. Darwinists have always offered false evidence in order to give the scenario of human evolution credibility, at least in their own eyes. These include the notorious Piltdown Man, which was displayed for 40 years and only then realized to the be a hoax, Nebraska Man, whose whole life story was fabricated on the basis of a single wild pig molar, Ramapithecus, depicted as a “transitional form” for 50 years, and of course Lucy, which is still portrayed as an intermediate form even though scientists are well aware of the invalidity of this. Darwinists seek to conjure “human evolution” from a fictitious process. But all their efforts based on falsehood have always ended in failure. In contrast, paleontological research has revealed fossil specimens of life forms that have not changed over millions of years. 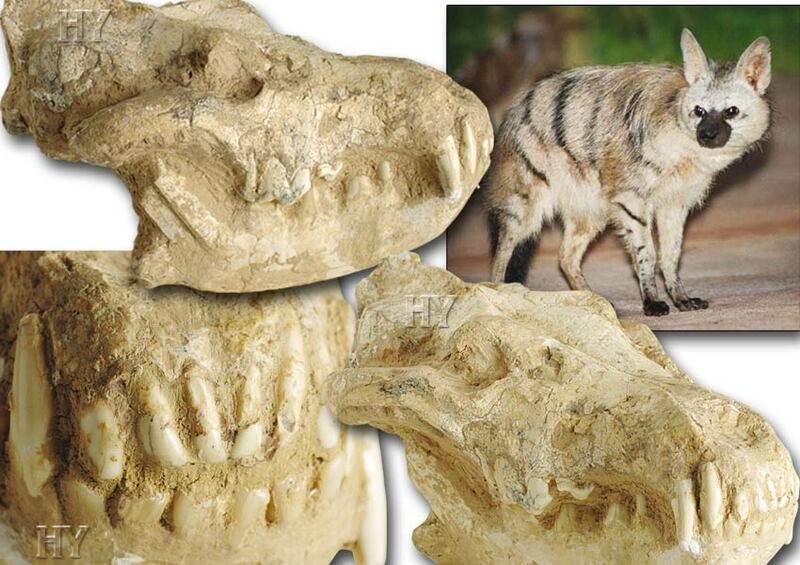 A 78-million-year-old bear skull is one of these. Since life forms have never changed and there is not one single piece of evidence to support evolution, all the speculation about the evolution of man is invalid. It is Allah Who creates human beings. Evolutionists claim that the first cell, the like of which scientists are still unable to replicate, emerged from a puddle of muddy water over the course of millions of years. It is certainly not at all difficult for a mentality that maintains that such a complex structure as the cell developed by chance to also maintain that human beings who found civilizations, rule states, perform operations and develop ideas also formed by chance. The logic of Darwinism is exceedingly primitive. With that logic it is of course not hard to make the impossible possible. Behaving as if there were evidence available, when in fact there is none at all, is no problem. With such a primitive logic it is hard to find intelligence and understanding with which to appreciate Allah's creative artistry, even though this is so plain to see. But for people who have escaped this primitive logic it is easy to see the obvious proofs of Allah's existence. 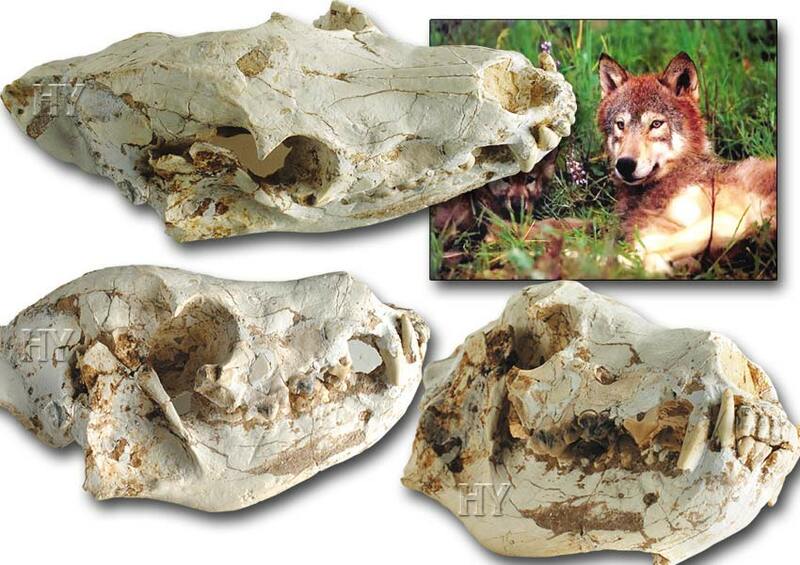 A 75-million-year-old wolf skull is one such proof. Darwinists have not one single piece of evidence that might prove their claims. In contrast to this lack of evidence for evolution, evidence for the fact of Creation is increasing all the time. One such example is the 36-million-year-old marten fossil on the left. 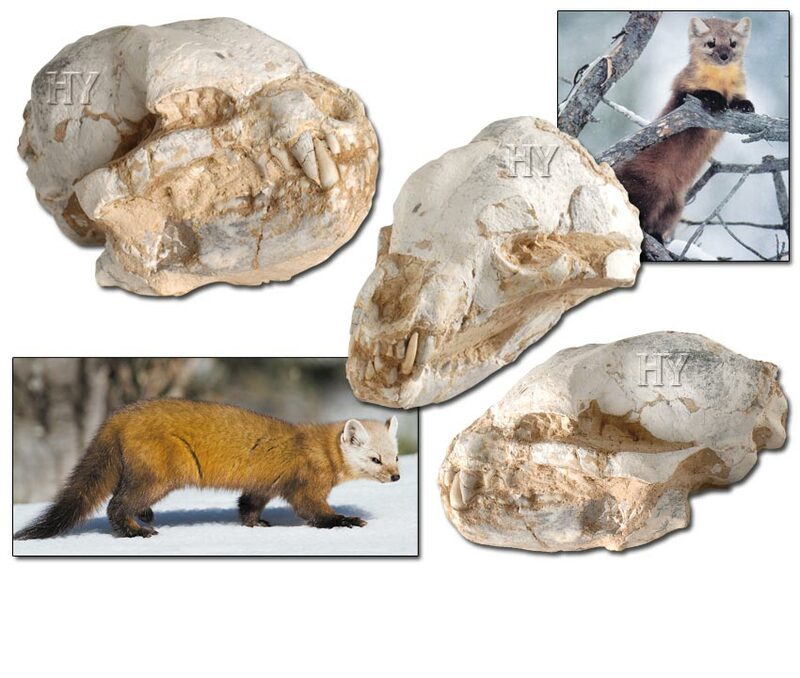 All marten fossils are fully formed and show that these animals have had the same dental, cranial and body structure for millions of years, in other words, that they never evolved. According to Darwinism, the fossil skulls and other remains discovered should be very different from those of present-day life forms. All the organisms in the fossil record should appear in their evolving transitional forms. 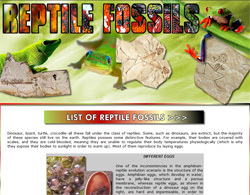 For example, there should be many remains of half -fish and half -reptile creatures, or half -reptile and half -mammal. Martens should not always be the same; there should be fossils of strange animals resembling martens, but that have not yet become complete martens. For example, we should encounter marten fossil skulls with three eye sockets, or perhaps no nasal cavity, or maybe with jaws on top of their heads. Yet all the marten fossils ever unearthed have all the complete anatomical features of present-day martens. This shows that martens have never changed since the moment they first appeared. The number of living species that have never changed over the passage of millions of years is far greater than those you see in this book. If evolution were true, there should be billions of transitional forms showing that countless species had changed. Instead of fully formed species with all their proper features, we should encounter the remains of entities that are only semi-developed or have not yet assumed their present forms. Yet Darwinists have never been able to point to a single example of an intermediate form. On the other hand, however, there are millions of fossils showing that present day life forms have survived completely unchanged for millions of years, and these can be seen in books and museums as evidence of creation. 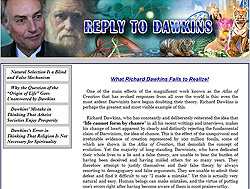 In contrast to the lack of evidence facing Darwinists, the proofs of the fact of creation are increasing on a daily basis. 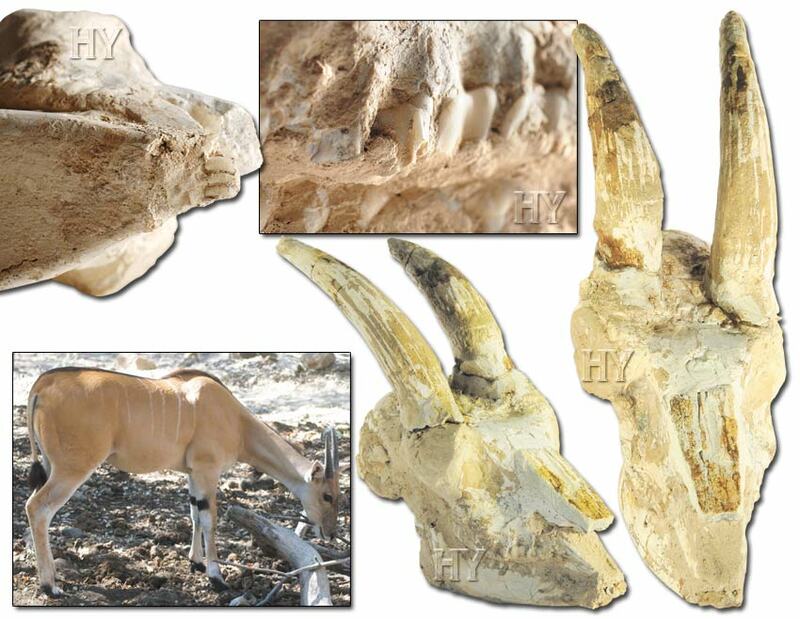 One of these examples is the 4.6-million-year-old antelope skull in the picture. This animal that lived 57 million years ago is identical to those living today. Like hundreds of thousands of life forms whose fossils have been unearthed, these animals have never changed. With these fossils, it is not hard to imagine what the Earth must have been like millions of years ago. It was not very different to the Earth of today. Apart from some complex life forms that have since become extinct, today’s animals were living then, and looking just as they do today. The fossil record proves this. And Darwinists can say nothing in the face of this definitive proof. Like all their other anatomical features, red wolves’ teeth and jaws have never changed for millions of years. The red wolf skull in the picture, dating back 51 million years, reflects the characteristics of the animal in perfect detail. Had such a fossil never emerged, Darwinists would no doubt still be inventing countless scenarios regarding the supposed evolution of the red wolf. They would produce a great many false intermediate forms and produced various myths. But as will all other fossils, this fossil gives Darwinists no room to maneuver. This applies to all other life forms and also to human beings. Every scenario fabricated by Darwinists continues to be discredited just as rapidly as they can invent these scenarios. 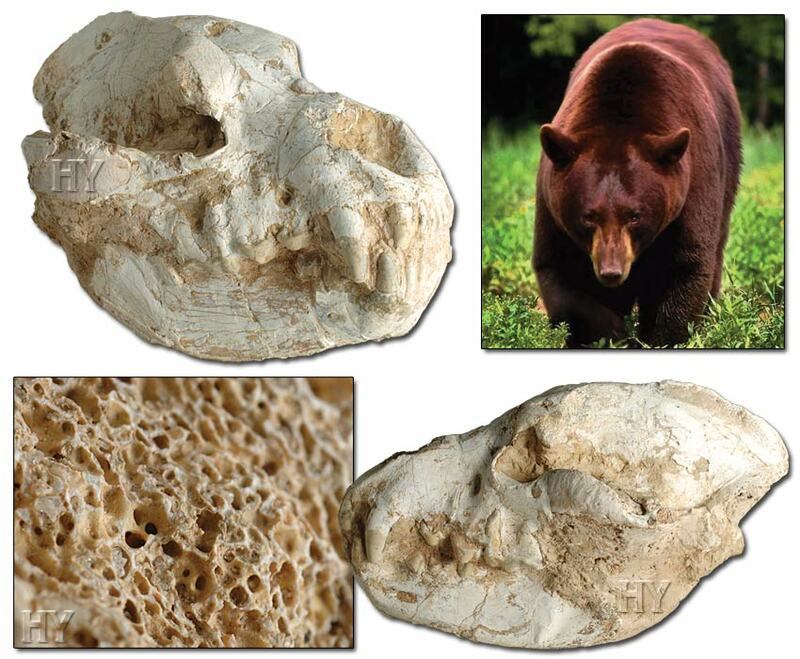 Details in the fossil’s jaw structure are proof that black bears have never changed over millions of years. 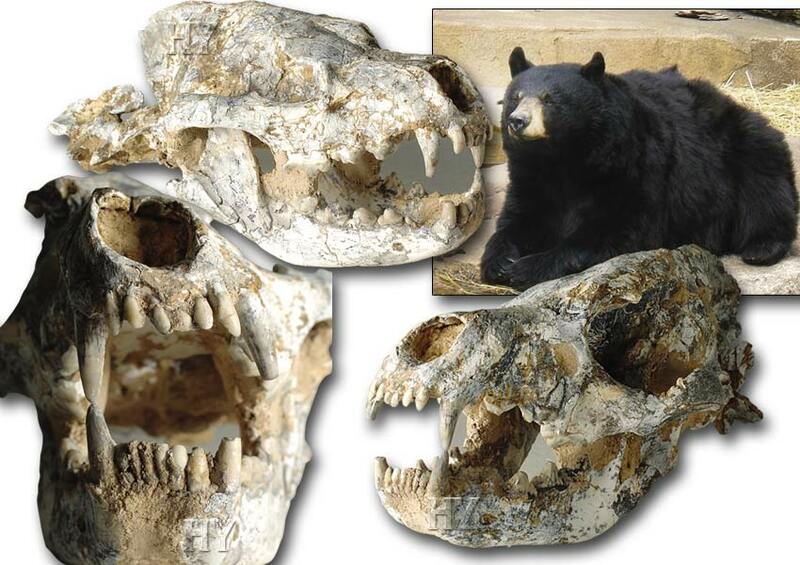 To know that black bears of today were living 83 million years ago is by itself enough to invalidate evolution. The existence of giant mammals with extraordinarily complex structures at a time when evolutionists suggest that everything was very primitive is more than adequate evidence to show that Darwinism is a theory needing to be consigned to the scrap heap of history. One such piece of evidence is enough by itself, yet millions of living fossils from very different species have been found, and there is no difference between the fossil specimens and today’s counterparts. In short, the fossil record in which Darwin and other evolutionists had placed such great hopes has instead been instrumental in Darwinism’s collapse. This is Allah's sublime creation. 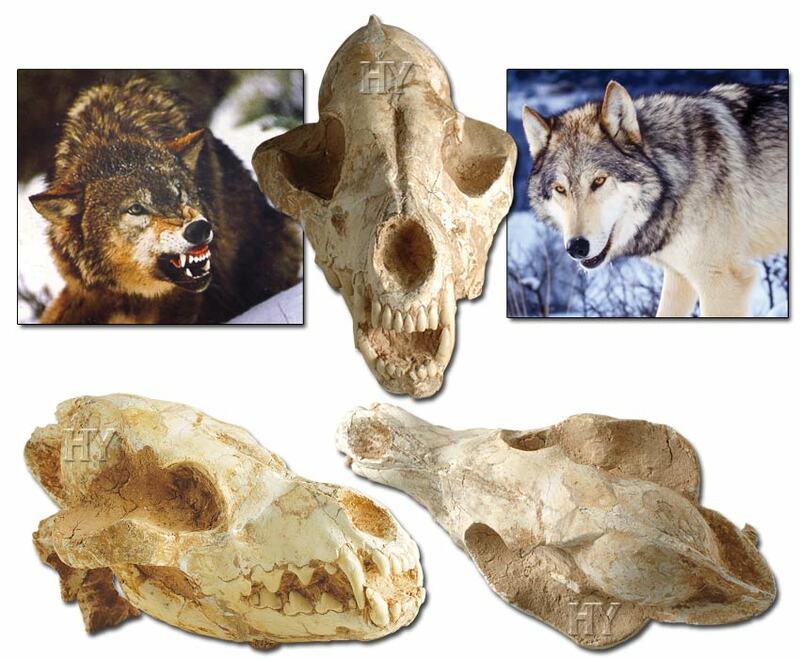 As with the 49-million-year-old earth wolf skull in the picture on the left, the fossil record is full of millions of species that have never changed at all. This is one of the greatest dilemmas facing evolution. The teeth in the jackal fossil shown to the side are perfectly clear and show that jackals have come down unchanged to the present day. 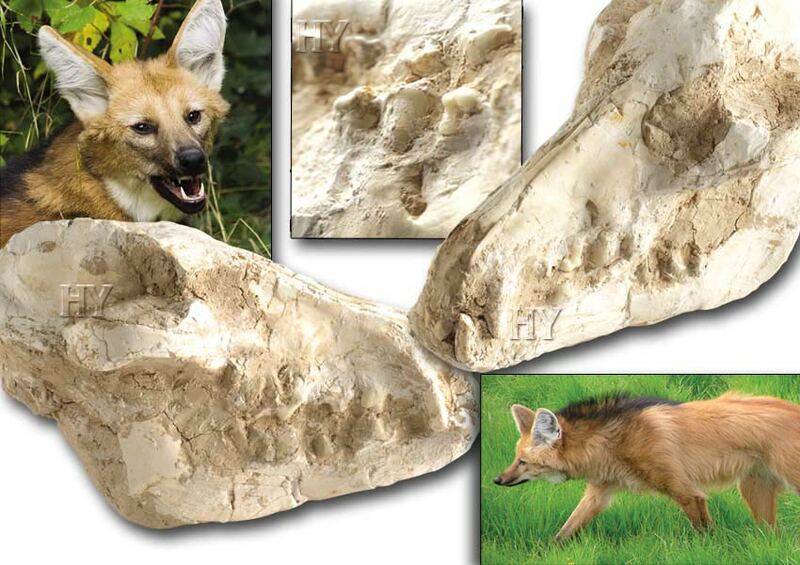 The fossil in the picture reveals that, just like tigers, foxes, lions, rhinoceroses and all other life forms, jackals have never changed. Not one single fossil showing that life forms share a common ancestor has ever been found. There is no evidence in the fossil record that life forms are in a constant state of change. So why are Darwinists so insistent on their theory? Why do they insist on saying that life forms evolve, when there is so much proof that Allah creates them? The reason is entirely ideological. Defending the theory of evolution is vitally important for materialistic and atheistic ideologies. Darwinists can persist with the theory of evolution all they like, but the fossil record will continue to demolish evolution with new evidence. 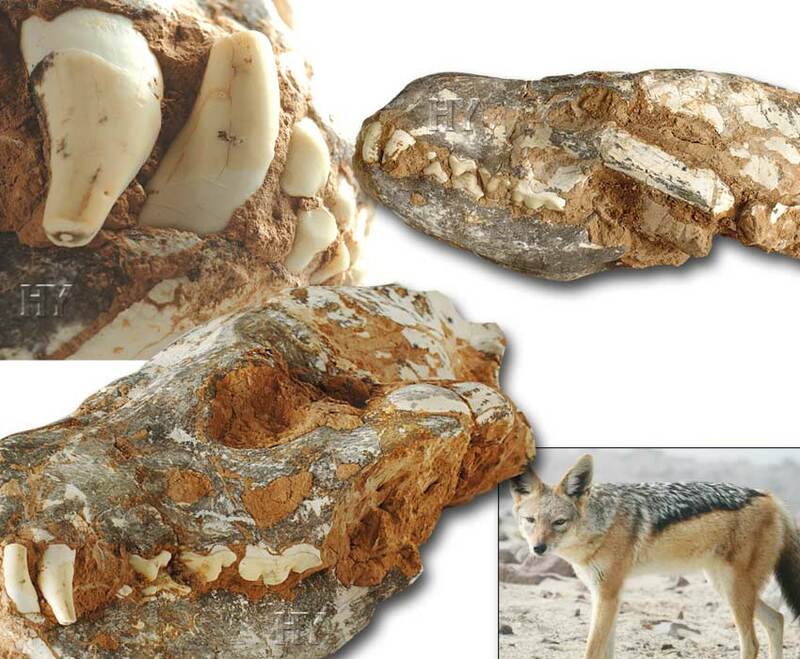 The 51-million-year-old fossil jackal in the picture is one example of that fact. All scientific findings, fossils for example, show that living things appeared suddenly, not gradually through evolution; in other words, they were created. Anyone with common sense who examines fossils will agree that life forms have remained exactly as they were first created. No living things have any history of evolution behind them. The sole Creator and Lord of living things is Almighty Allah. Allah creates all living things with different appearances and forms. In the same way that life forms have different lifestyles and needs, so there are profound differences in their anatomies. That is why it is not at all hard to describe fossils that are unearthed. All the anatomical characteristics of a life form whose fossil is discovered can easily be determined from the remains. 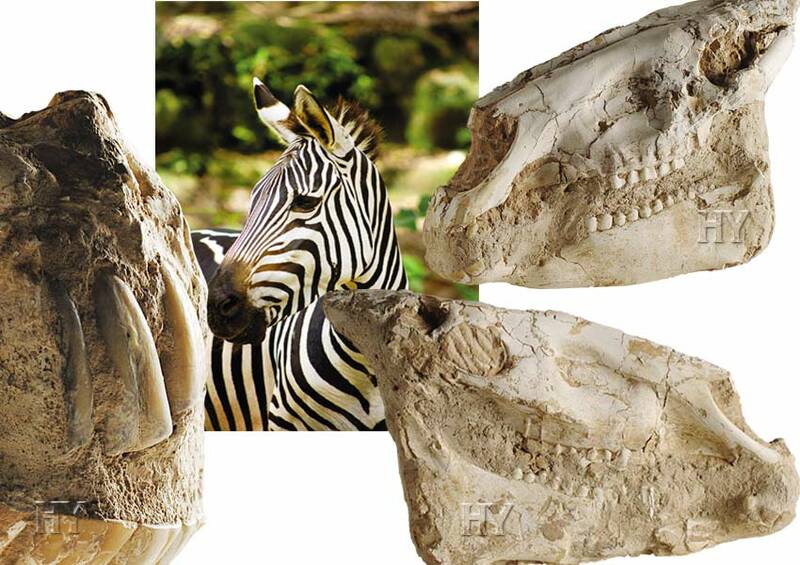 This distinction is clear in the 45-million-year-old fossil zebra in the picture. There is no difference between the characteristics of the fossil and those of present-day zebras. There is no doubt that this is a great miracle of Allah. The scientific evidence available is too definitive to be rejected by any scientist, even an evolutionist. It is a concrete scientific fact that life forms have never changed; in other words, they have never undergone evolution. This evidence makes it much easier to understand what a deception Darwinism is. 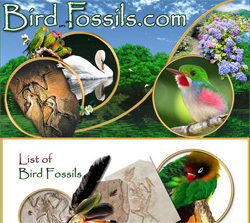 The fossil record has revealed evidence of the wondrous creation on Earth that cannot be denied. It is simply not possible to deny this truth. Millions of fossils from tens of thousands of species have been unearthed to date. As can clearly be seen from the bat eared fox skull on this page, these all belong to fully formed and complete life forms with a perfect appearance and complexity. The same applies to specimens of ants, fish, bears, spiders and tigers, which were the same millions of years ago as they are today. The bat eared fox has larger ears and smaller teeth than other species of fox. 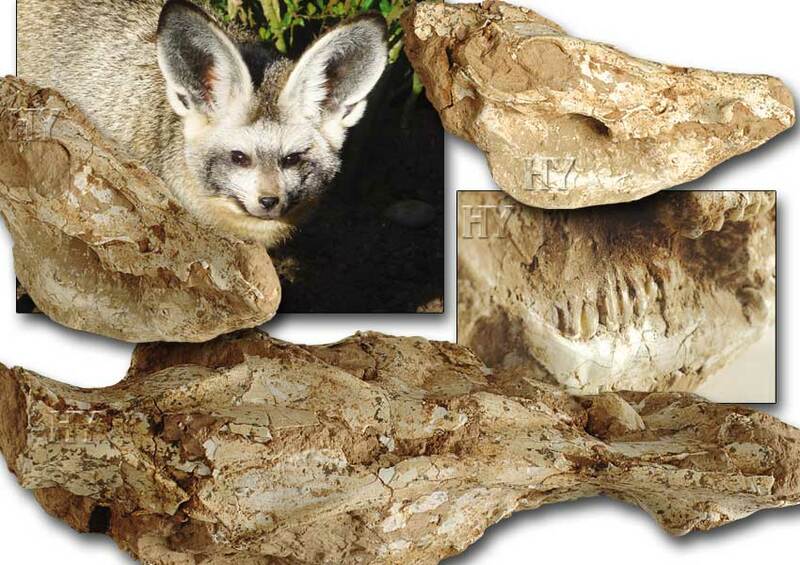 A 71-million-year-old bat eared fox skull fossil has the same typical features as members of the same species today. Therefore, Darwinism is unable to account both for species, and for variations within species. Different species of foxes have existed in the fossil record for millions of years. This also applies to many other life forms, and not a single intermediate form showing a supposed passage from one life form to another exists. All this evidence leaves no doubt about the collapse of Darwinism, and reveals that life forms were created with the same complex structures they possess today. Allah knows how to create all species. Details such as the fossil’s dental structure reveal that this life form was the same 82 million years ago as it is today. An 82-million-year-old striped jackal skull is just one of the living things that has left remains behind to the present day. This fossil show that fully formed jackals, with all their anatomical features just as jackals of today were also living on Earth 82 million years ago. 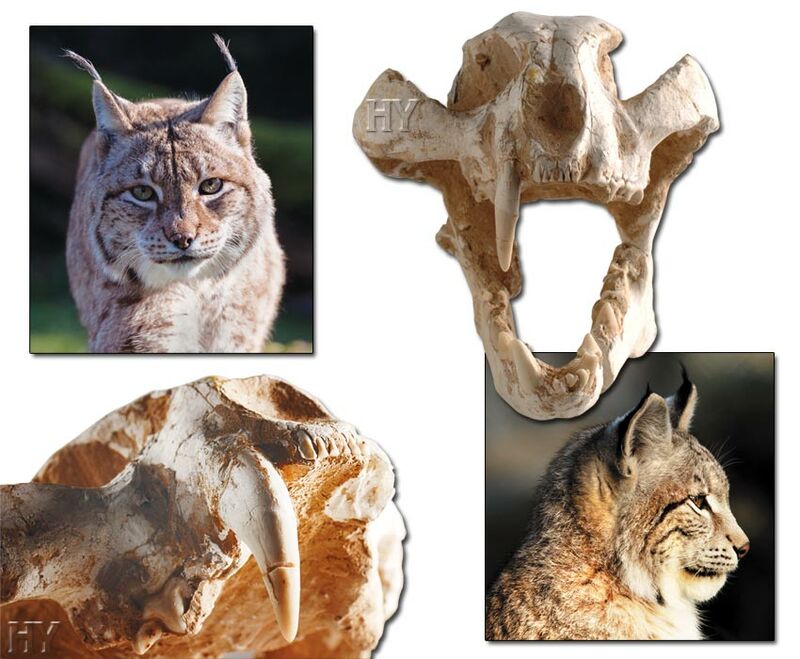 This and countless other examples tell Darwinists that when we look at the fossil skulls of jackals, monkeys, other life forms or even of now extinct human races that once lived in the past, we see that none of these have ever changed. Not a single transitional form to show that any one of these has changed has ever been found. This means that living things never evolved, and that each one is the creation of Almighty Allah. All fossils dating back millions of years show that today’s mammals were living in exactly the same way as they were millions of years in the past and that they never evolved. This deals a very serious blow to Darwinism. And that is the reality depicted in this book. As Henry Gee says, the fossil record has shown that Darwinism’s claims regarding life and its origins are completely unrealistic. 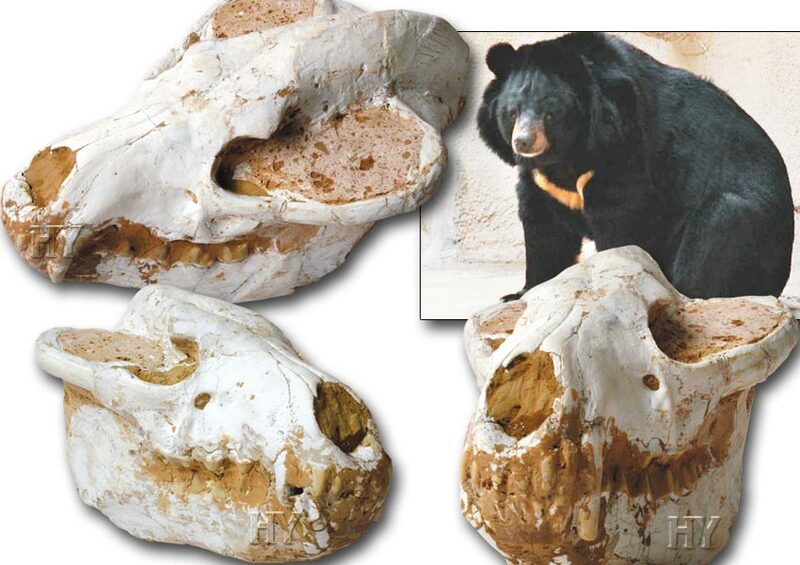 Countless examples, such as the 6.7-million-year-old sun bear skull in the picture, prove that Darwinism is nothing more than a hypothesis that flies in the face of all the facts. Darwinists, who maintain that life forms are in a constant state of change, are unable to account for the obvious stasis in all living species. This 32-million-year-old hyena skull below is one example of this stasis in living things. The way that the detailed remains of a living thing dating back millions of years appear from under the ground is truly a miracle. If Allah so wished, a living thing’s bones would also vanish in the soil, in the same way as soft tissues do, and not a trace of them would be left. That would leave the way open for Darwinists to engage in speculation. Although paleontology, microbiology and microgenetics provide no evidence for their theories, they would still try to use the non-existent fossil record to fabricate scenarios. But that is not the case. Complete skeletal remains of living things are unearthed, all their details can be analyzed, they can be compared with those of present-day life forms and owing to all the countless details that are made available their resemblance to present-day life forms can be perfectly revealed. Therefore, Darwinism has collapsed in the field of paleontology, as it has in those of all other branches of science. One of these perfect remains is this 33-million-year-old hyena skull, which is identical to those of hyenas living today. Not a single one of the transitional forms expected by Darwin, and that all Darwinists have hoped to find, exists. Not a single transitional form has ever been discovered anywhere in the world. 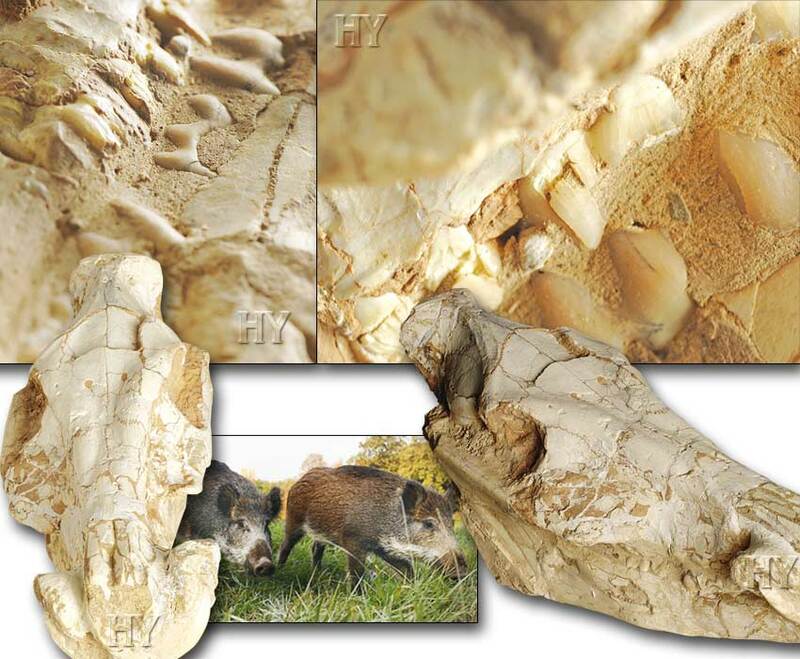 There is no difference between this boar skull that dates back 58 million years and those of present-day boars. The truth revealed by the fossil record is that life forms did not evolve but were created in a moment, looking the same as they do today. Darwinists were once able to attract supporters using a primitive logic. It was a simple matter at a time of scientific ignorance to convince people that proteins and eventually cells formed spontaneously and gradually from muddy water, that bears hunting in water gradually acquired fins and turned into whales and that monkeys decided to stop swinging from branch to branch and began walking upright, thus giving rise to human beings. Since the fields of genetics and paleontology were unknown at that time, all these fictitious changes were heralded as scientific facts. But things are no longer anywhere near as simple as that for Darwinists. The science of genetics has revealed the complexity of the cell, and paleontology has revealed that life forms have never changed. 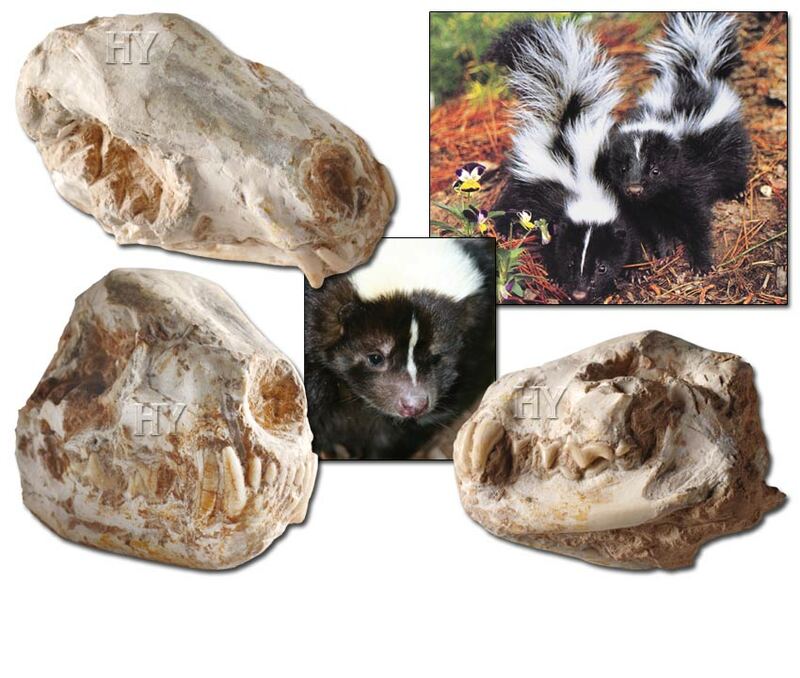 Like countless of other specimens, the 58 million-year-old boar skull in the picture to the side shows that life forms dating back millions of years are identical to those living today. It is no longer possible for Darwinism to deceive people.